Marking the beginning of the Royal Road, the Castle Square with a more or less triangular form stretches in front of the Royal Castle and is one of the most popular meeting places for both tourists and locals. 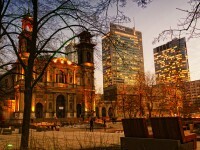 The Warsaw Jewish Community Center is at the intersection of the streets of Twarda, Bagno, Grzybowska and the Street of Kings and is represented by a triangular market, the Grzybowski Square. 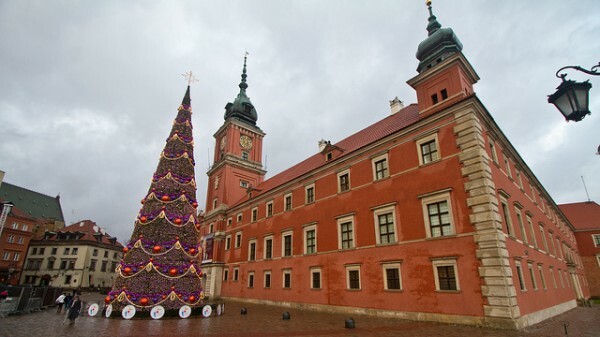 The history of this place dates back to the beginning of the eighteenth century, when it was just an area located at the intersection of roads leading to the Ujazdowski Castle, the village Sluzewiec and the Old Town of Warsaw. 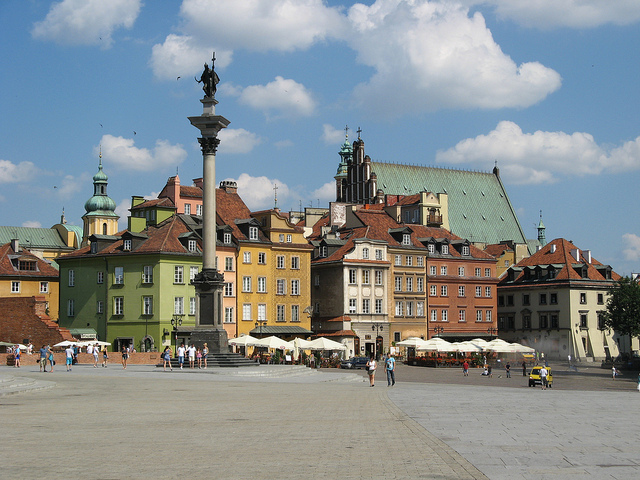 Surrounded by a number of major historical buildings, the main attraction of the Castle Square in Warsaw is the Column Sigismund, which rises to 22 meters since 1644, being the oldest monument and the symbol of the city of Warsaw. On its eastern side lies restored Royal Castle. Today, visitors can watch a number of contests held in the market, such as breakdance, rallies, can enjoy outdoor concerts, or watch shows of street entertainers. A very important event took place in the market in the summer of 2008, when there were over 1.5 million tourists gathered to see the exhibition the United Buddy Bears. 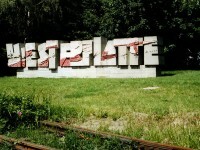 It consisted of 140 pieces of 2-meter high sculptures made ​​of painted fiberglass, each designed by a different artist, a symbol of cultural understanding, tolerance and mutual trust. 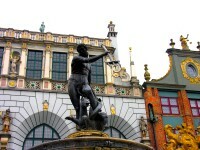 Since 1830, the area surrounded by Classic style buildings became the Grzybowski Square, named after its founder, John Grzybowski. Currently, the most important construction of the market is the Roman Catholic Church of All Saints, built over more than 30 years, the work being completed in 1895. On its western side is the Hebrew Theatre and the only synagogue in Warsaw that survived the Second World War, the Nozyk Synagogue. Between the years 2009 -2011, there have been a series of modernization works of the Grzybowski Square in Warsaw, which were aimed the restoring of the green spaces, landscaping by replacing the sidewalks and street widening to have a better view of the Palace of Culture and Science and the Church of All Saints. 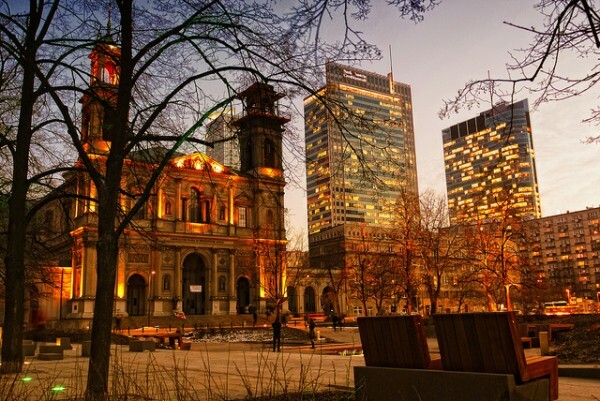 Today the Grzybowski Square in Warsaw is extremely clean, old lanterns being replaced with modern, everything being beautifully lit at night. Although everything is charming, it seems that the old provincial atmosphere of another time disappeared without a trace.